Here are 3 games to help you harness World Cup fever. 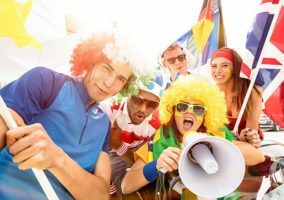 The World Cup is coming and, like it or not, it will have an effect on your workplace. 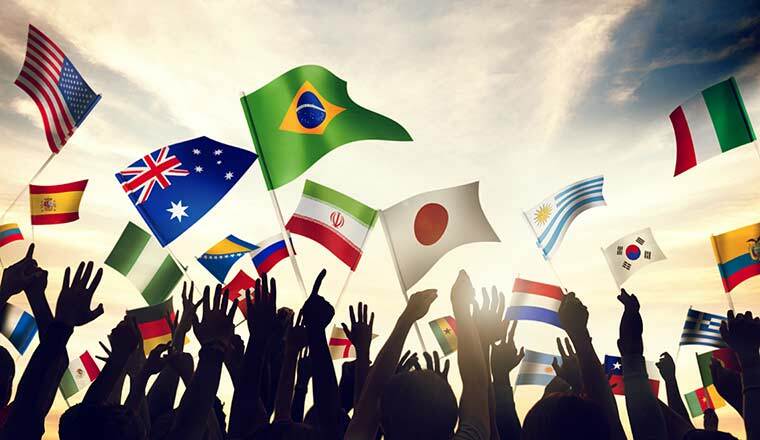 ‘World Cup fever’ has started – there will be endless football talk, tactical critiquing, vocal patriotism and some very dubious pronunciation of continental surnames. There may even be some unusually high absenteeism. You can’t ignore it, so you might as well embrace it. 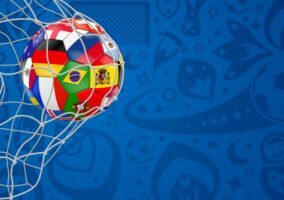 Here are three call centre suited games to help you embrace World Cup fever and boost your productivity in the process. The traditional ‘names in a hat’ sweepstake is all well and good, but it’s a game of pure luck and doesn’t relate to work at all. Things get much more interesting when you take those names out of the hat, line them up, and offer first picks to the best performing advisors in the weeks leading up to the tournament. If the prize is something work-related that is desirable for all, then suddenly you have a major incentive to drive productivity. 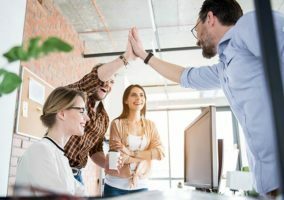 Paid leave is the absolute holy grail of prizes, if you can stretch to it, but you can be as creative as you like in coming up with prizes that will suddenly make your bees a little busier. Bonus breaks to watch afternoon kick-offs in the staff room, for example, are serious currency for any football fans. Because teams have to be picked before the tournament kicks off, it’s easy to run this competition in parallel with one that starts on June 12th. Another bonus here is that it’s very fair – even someone with no interest in football will know that Argentina and Spain are better picks than Algeria and Switzerland. This is a game that you can run alongside the tournament itself. You divide your workforce up into 32 teams (they don’t even need to be equal teams), and arrange a fixture list in the same format as a World Cup tournament. For each ‘match’, two teams compete over the course of a day, based on whatever criteria you like – sales is the obvious choice, although you could also use calls taken, quality scores, direct debits set up, or anything that fits your daily goals. If you divide each team’s combined score by the number of players in the team for a mean average, it doesn’t really matter how many players there are on each team. For the first round, the 32 teams are arranged into eight groups of four, with the teams in each group playing each other once. Three points are awarded for a win and one point for a draw. The teams that finish first and second in each group then progress to the last 16, and compete in standard knock-out rounds until a champion is crowned. The group stage works just as well for call centre managers as it does for tournament executives chasing extra TV revenue – it ensures that each team plays at least three matches and that the tournament is well past the halfway mark before the first team is eliminated. So there is little danger of a team losing interest after being knocked out on the first day. Again, a desirable prize is important. But in these types of games, competitive spirit alone can be a powerful force. Also, if you have several players on each team and average out their scores, the more competitive ones will often gee up the less interested. This is the one option that does require an initial outlay of cash, but you might find it to be a far better investment that you’d initially think. With a quick look at eBay or Argos, you’ll notice that football tables can cost anything from under £100 to well over £2,000, so anything at the higher end is probably difficult to justify on the balance sheet. But the lower end of the price range could prove to be a bargain in the long term. 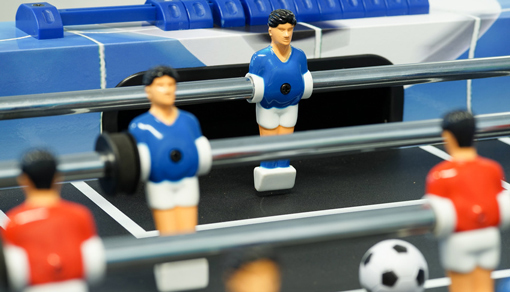 If you were to arrange a little table football tournament in the office, just to raise morale and productivity during the few weeks of the World Cup, then even a mere hundred quid might seem a bit extravagant. But think about it… There will be the European Championships in two years’ time and then the next World Cup comes around two years after that. In between such tournaments, most decent-sized staff rooms would be improved by the addition of a football table for staff to play on during their breaks. Just like a pool table, a football table has a powerful symbolic presence in a staff room – even when it’s not being used. Just having it there shows a commitment to helping your staff relax, and visitors will always be quick to notice that commitment too. So when you think of it as a long-term investment that never stops giving, as opposed to a one-time summer extravagance, the football table starts to look like money well spent. Why not get more into the spirit with some Football PowerPoint templates? With thanks to Matt Phil Carver, a regular contributor to Call Centre Helper. 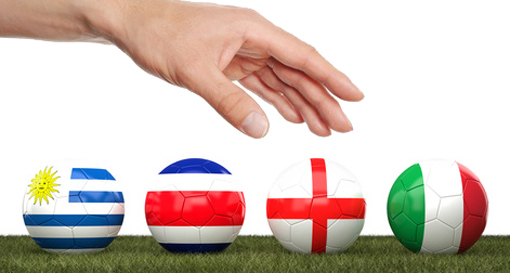 How Will the World Cup Affect Your Contact Centre?